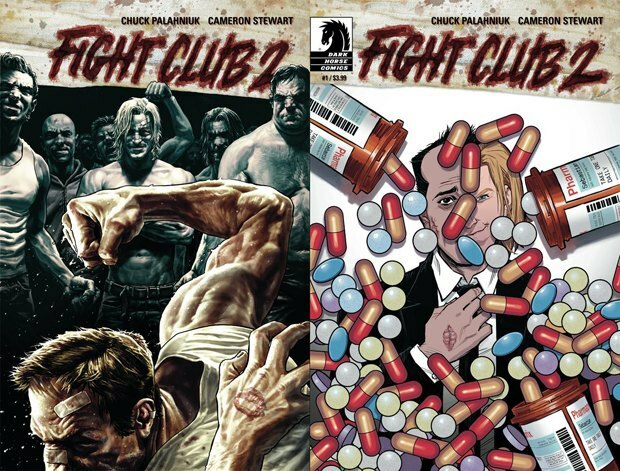 The first issue of Fight Club 2, the comic sequel to Chuck Palahniuk's 1995 novel, was released today. Well I wanted to mimic certain tricks that David Fincher did in the film, where he acknowledged the medium — by making it appear [that] the film was rattling in the cage of the projector, and pointing out changeover dots, and burning the film and splicing the film and breaking the fourth wall. So right from the beginning I wanted to see some photorealistic things that would appear on the page, like rose petals and pills, that would obscure — or occlude — people’s faces; their expression. And also captions and dialogue, that kind of implied the inauthenticity of what was being said. To cut the importance of the written word on the page. And so that became one of the real-world tricks I wanted to do that were kind of a nod to David. The sequel begins years after the original story ended, with the narrator in suburbia with wife (Marla is back!) and child. But its not long before Tyler Durden and Project Mayhem enter the narrative. 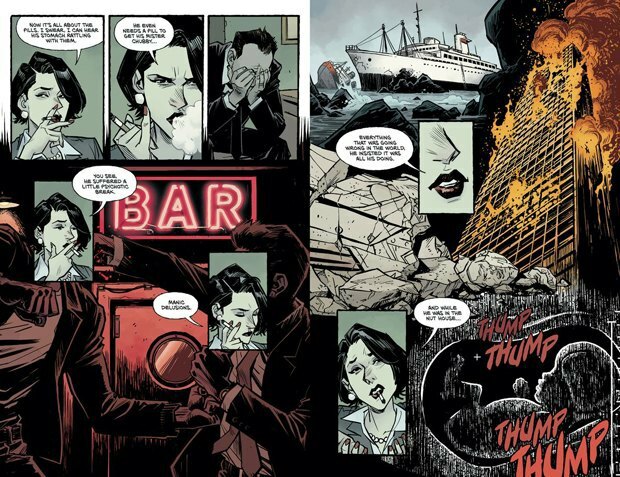 Palahniuk himself will even enter the story as a character in issue four or five... "Yeeeeeeah, that’s our meta thing," says Palahniuk, laughing. Meanwhile, the director of Fight Club (1999) the movie - David Fincher - is making a Fight Club musical. Fincher has enlisted Trent Reznor to write the score and Julie Taymor (who directed the theatrical adaptions of Spiderman and The Lion King) to direct it.